I can’t even remember when was the last time I posted a Griddlers (aka Nonograms aka Hanjie) puzzle, so here is one for you today. The puzzle has one relatively difficult step early in the solving process but then it unfolds quite easy. 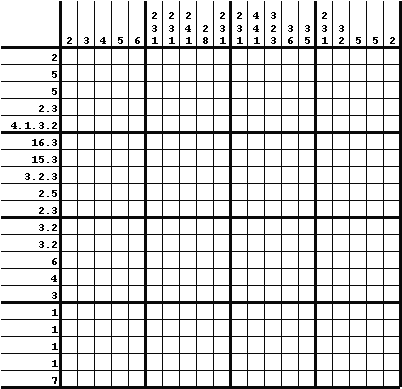 Picross 20×20 for Saturday, December 22, 2007. 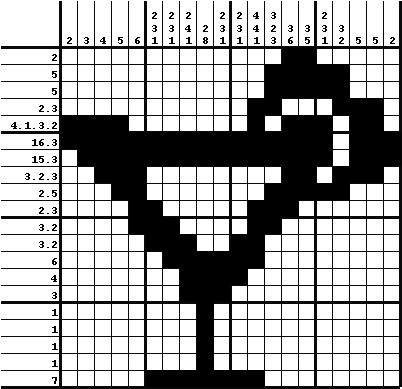 This entry was posted in Free sample puzzles, Picross and tagged EASY, FREE, griddlers, hanjie, nonograms, PDF, Picross, PNG. Bookmark the permalink. Post a comment or leave a trackback: Trackback URL.